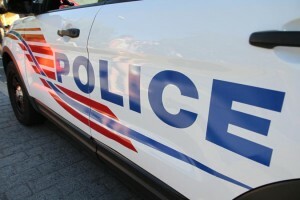 Police have apprehended a 45-year-old man in connection with three robberies in NoMa this week, authorities announced last night. Tyrone Edward Wright, who has no fixed address, was arrested yesterday and charged with three counts of bank robbery. Information on his lawyer wasn’t immediately available. Police made the arrest as part of an investigation into robberies at the Premier Bank on the 1100 block of 1st Street NE and the TD Bank a block north, according to authorities. The Premier Bank was robbed Wednesday about 3:30 p.m. and Thursday about 1 p.m. The TD Bank was hit about 12:30 p.m. yesterday. A man gave a teller a note requesting money in all of the robberies. At Home on the Hill: It’s a Renovation Extravaganza!